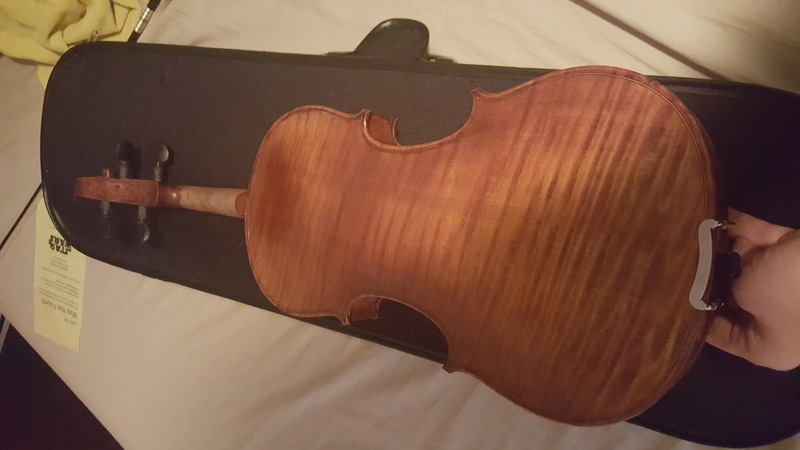 Today I got my new violin! I love the look and sound of it and I can't wait till it warms up so that it can really let its voice sing! 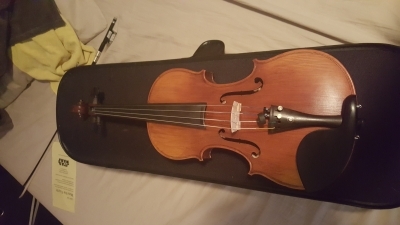 The violin doesn't have a label on the inside so we don't know who built it, or how old it is. It's a mystery violin! Sounds great, Dom. Very mellow sound. Nice playing too. How exciting. Congratulations. Nice tones!